Master of Laws trained on the bench, IP Lawyer Heli Hietamies first specialised in design protection, expanded her expertise to trademarks and now utilises her diverse skills as a protector of IP rights and solver of conflicts. She fosters the brands of her clients with the perseverance of a useful plant gardener. I have always been interested in creative work, such as drawing, art and design. I can also think of things in a three-dimensional format. These qualities probably played a role in that, after studying law and undergoing court training, I became interested in the IP field and was chosen for the design right department of PRH, Finnish Patent and Registration Office. I first worked in the protection of designs and then with trademarks as well. The perspective of the authority granting design and trademark rights as well as the associated sections of law became very familiar in the early years of my career. At that time, in the late 1990s and early 2000s, Finnish companies’ awareness of IP rights − especially the protection of designs − was still relatively low compared to what it is today. Nokia was one of the pioneers in the field of design protection. Over the past twenty years, it has been really interesting to follow the development of design rights, in particular, in terms of both legislation and application practice as well as companies’ awakening awareness and use of design rights. In 2003, I received an interesting contact from Kolster. It led to a career path that has provided me with an opportunity to familiarise myself extensively with the IP industry from a business perspective. During the first few years at Kolster, I focused especially on design rights and also led a design rights team. This was also influenced by the entry into force of the community design system, which brought new dimensions to the protection of designs. In addition to client work, I often give lectures on design protection, and I was given the opportunity to write a comprehensive book about design protection with three other Finnish design rights experts. When protecting designs, other forms of protection are also subject to assessment. These include 3D trademarks and copyrights, sometimes also patents and utility models. 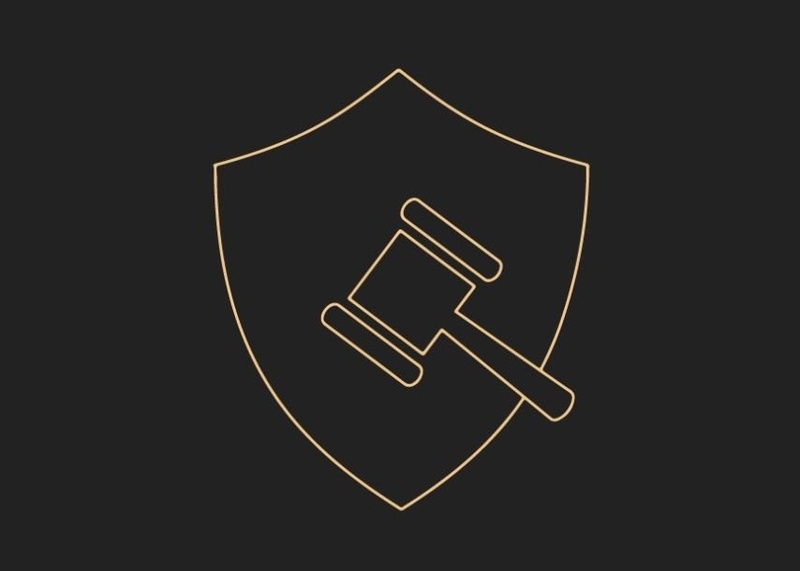 It is therefore natural that, from the outset, alongside design protection, I have also taken care of my clients’ trademark protection, counterfeiting, dispute, copyright and business name issues as well as any worries my clients have had at any given time. My work is comprehensive care of my clients’ IP issues. The brand comprises everything that the company is and what it does. There are many building blocks for a good brand. Especially the protection of the business name, trademarks and designs, copyrights and registration of domain names are the “legal brand blocks” that I discuss with my clients. In that case, we are always considering a larger entity than a single form of protection. My job is to highlight all legal issues with regard to IP, anticipate the IP risks to the business from competitors and share my views on which blocks the company should use and how it should progress to achieve its goals in the best or most cost-effective way. In my work, it is also important to understand that companies are balancing between the IP perspective and rational business decisions. Especially with small companies, we often consider the benefits, costs and risks of protection in relation to, for example, how much revenue the company is expecting from its new product, and how much and to what extent it is ready to invest in protecting the product. In the end, it is a question of the company’s business decisions and how it wants to operate in the field of IP. In an ideal situation, I am able to discuss the IP protection strategy already at an early stage. When the company is only just contemplating different options for protection, I conduct preliminary surveys, provide cost estimates and recommend the best option from the perspectives of, for example, freedom to operate and strong protection. If all the important choices have already been made, my chances of influencing, for example, infringement claims from competitors beforehand are rather limited. That is why it is important to carefully consider IP issues in advance. In recent years, I have been increasingly involved in dispute resolution as well as court proceedings. At the moment, my workload includes disputes regarding, for example, product copying, trademark infringement, business names and patents. Extensive professional expertise in the IP area is also beneficial in dispute resolution. I do not enjoy conflict very much, but searching for and finding legal arguments as well as analysing cases is really interesting work that I feel as my own. Purely legal arguments alone do not always solve disputes. Those still need to be dug up to be able to provide a business-oriented solution that the client can live with. The vast majority of disputes are settled because a conciliation agreement is usually the best solution for everyone, even if the legal arguments are strong. When I defend the rights of my clients, my job is also to challenge old ways of thinking and interpreting. I follow the development of IP legislation and court decisions. As an IP lawyer and supervisor of my client’s interests, I try to find new perspectives: could the interpretation be expanded in some way? Each individual case and its solution create new practice in the field. Over the years, I have also been involved in solving many disputes related to employee inventions and served as a member of the Employee Invention Committee. The cases are interesting as the legislation in this area is not very straightforward. Assessment of the situations involves a lot of interpretation of the law and its spirit. Typical dispute situations include, for instance, ones where actions have not been taken in exactly the same way as was thought in legislation. For example, the employee has not submitted a written invention report, the employer has not taken the rights to the invention in writing or only partial compensation has been paid – and, at a later stage, a dispute arises on the will of the parties or, for example, what is the reasonable compensation referred to in legislation. My work with trademarks as well as more widely with brands and design is practical: we are surrounded by trademarks and brands everywhere, and design is part of even everyday products, pleasing us with good usability. It is exhilarating to see insightful trademarks, successful brands and top-notch Finnish products that combine functionality with a sophisticated design that has really been thought throughout the process. As an avid useful plant gardener, I can admire, for example, Fiskars tools, which are also examples of well-protected products. In the garden, you sometimes have to wait for the harvest, and sometimes you may have setbacks. Planning and patient cultivation will eventually produce results − this also true in IP matters. The field of IP is extensive and demanding and requires companies to be vigilant. It is worthwhile to find things out in good time, seek information from an expert and make rational business decisions based on that.